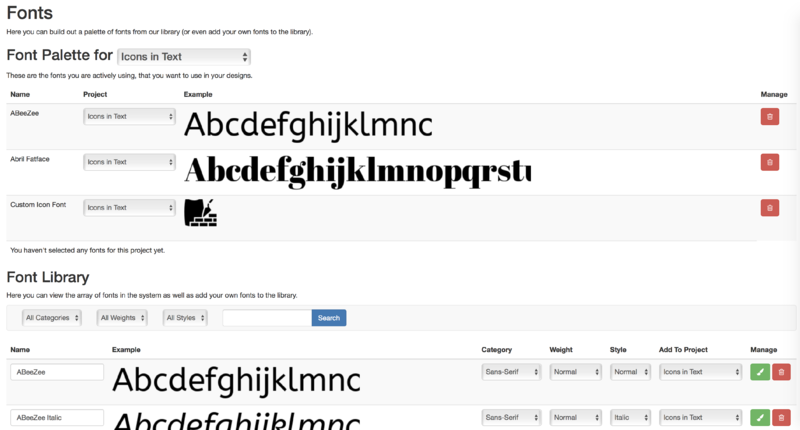 The font manager allows you to put fonts into your palette and upload new fonts. The Font Palette is the list of fonts you're using for a particular project. This way you don't need to sort through thousands of fonts just to find the few that you need for the current project. Any fonts you add to the font palette will be available to you in the design editor. The font library is the total list of fonts in our component studio. There are thousands available by default from the system. However, you can also upload your own fonts. Any fonts you upload are available only to you.